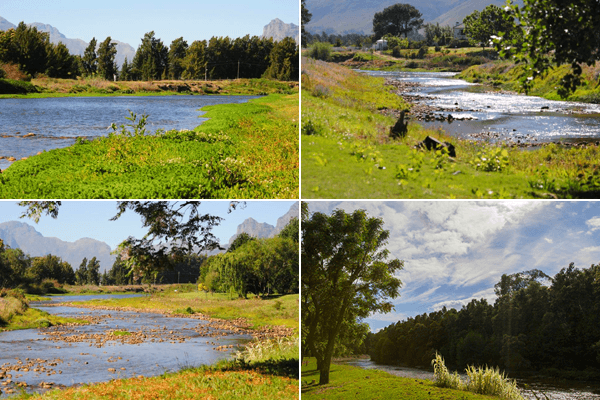 Berg River Resort is centrally situated in the beautiful Winelands, 60km northeast of Cape Town between Paarl, Franschhoek and Stellenbosch. A variety of guest accommodation is available ranging from comfortable, two bedroomed, family chalets to partially shaded caravan and campsites. Facilities include a 3,5m deep Olympic pool, a kiddie’s pool, waterslide and the river which is ideal for swimming and canoeing. 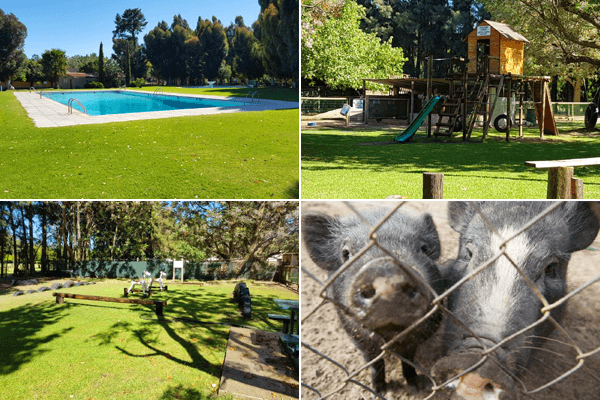 Berg River resort is the perfect place to visit for a family braai, a picnic, school outing, birthday gathering or a team building event. There are facilities for catered functions by arrangement. 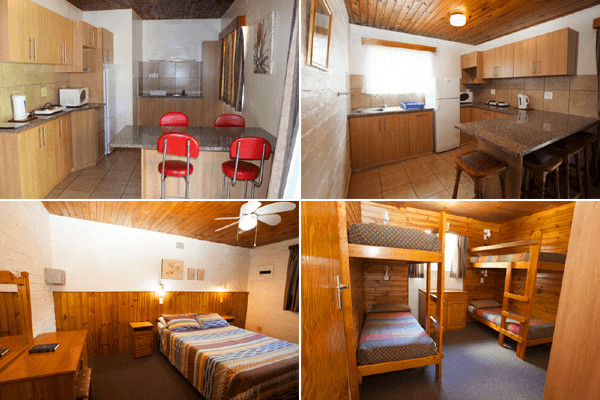 Berg River Resort has A and B-style chalets with various layouts. 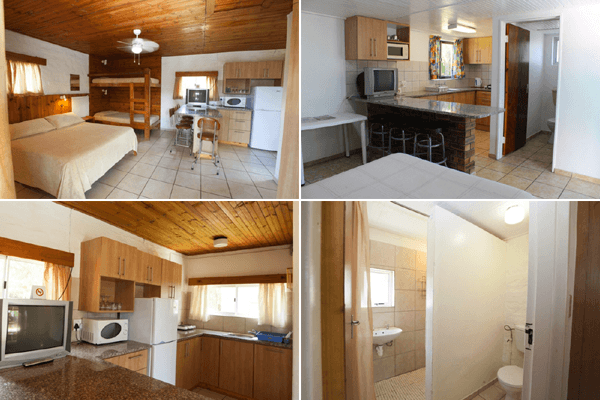 An A-style chalet has 2 bedrooms with an open-plan kitchen/ lounge. A B-style is an open-plan layout. - Arrival time between 14:00 and 18:00 extended to 19:00 on Fridays. No late arrivals. - Day visitor fees will be payable for early arrivals. - Departure time is 10:00. - The chalets must be booked in advance and must be confirmed with a deposit. - Please bring swimming and bath towels and braai grids. 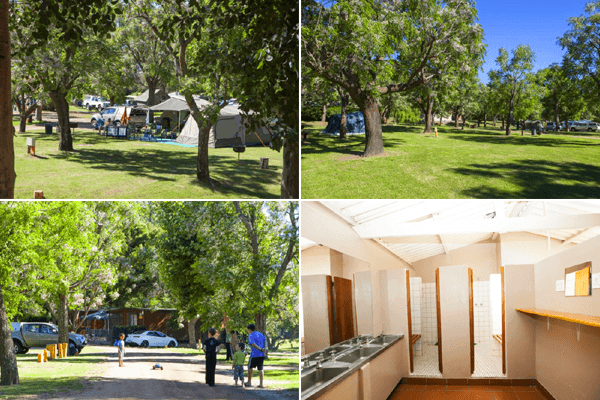 - Camping is first come first serve, except for Easter weekend/December holidays and special event weekends. - There are approximately 150 partially grassed stands for caravans and tents, most of which have 15amp electrical outlets. 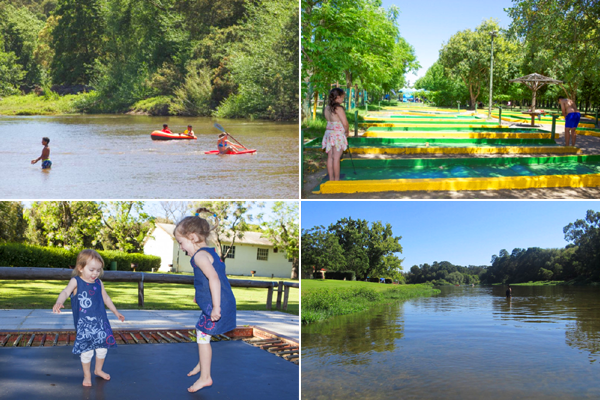 There is plenty to keep you and your children occupied during your stay at Berg River Resort. There is a spacious lawn for ball games and the volley ball net is always up for energetic players. Children enjoy paddling in the shallow water or searching for crabs under the river stones. Parents and children are free to bring bicycles and explore the area. The animal farmyard is a special attraction. Tractor rides, Jungle-gym, Roller-skating area, Practice Tennis wall, Bird watching, Swimming and Trampoline.